We will UPDATE the Grid Theme for each new ClassiPress version. Support is provided only for setup/installation. We do not provide support if you have customized the theme. 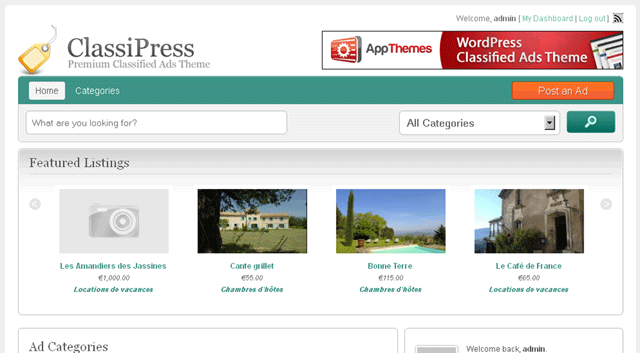 You must have WordPress and ClassiPress installed in order to use this child theme. If you have not done that yet, please do so now. 7. Once the theme has been installed, click the “Activate” link. 8. 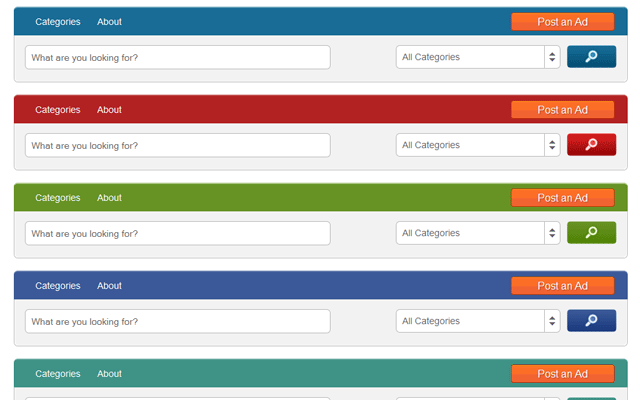 After activation you can choose Grid Mod button color on Appearance -> Grid Mod Options page. 9. IMPORTANT! If you allready have existing ads with photos, they may look stretched or squeezed after installing the Grid Mod. 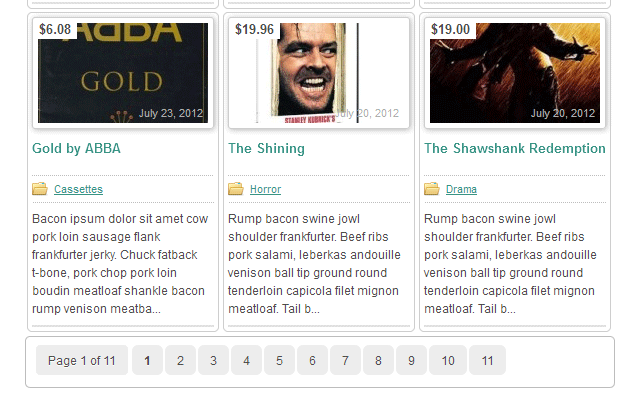 You can fix this with the Regenerate Thumbnails plugin from Viper007Bond. The plugin is available on the WordPress plugin repository site. * Little template changes to provide better handling of the before_loop hook. I have installed this child theme and it works well. 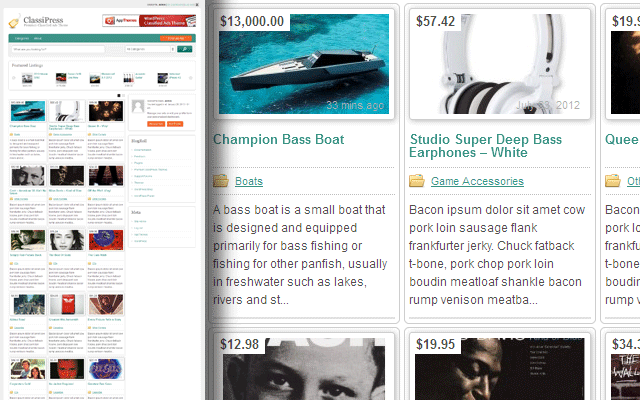 I just need to know how to show only the subcategory in the ads in the grid mode. Currently, it shows all the way : category / sub-category and it is too long and then the text is above the ad. So I would just show the subcategory. Give a nice design and show your ads in grid mod. Hey there Mr Green – I bought this prior to you putting it on the market place. How can I get the update for CP 3.2.1? realy nice to see that Mr green now is on marketplace!!! So yes… i am HERE….! I think you have the right to ask the administration to provide access to your past clients for this product. I did so. At least you can just ask. No doubt that the list is long)) and wish that it has increased many times! my previous comments has been deleted. I like to buy the theme same as anunciaaki.com but in english, please provide the best way to do it. anunciaaki.com is a site that you mentioned it in the description of the grid theme. All I am asking: can you provide the theme same as configured in the mentioned site? what you suggest is to buy the classipress and the grid then you will study my needs to see if u can provide it or not, and maybe with different charges. My request is clear, anunciaaki.com in english. can you provide it or not? Yes we can provide it with different charges(of course). can u pls tell me what are the charges for a similar site, pls provide a private contact. I sent you a contact message and a pm. This plugin is available to Classipress 3.2.1 + WordPress 3.5.1 ? Do you have a page to questions on appthemes forum? >> Do you have a page to questions on appthemes forum? i buy your theme it is cool. I try to install and i do it, but the photo added by previous theme are with poor quality. >>but the photo added by previous theme are with poor quality. Important notes about thumbnails. The grid child theme uses a different thumbnail size than ClassiPress. Is it possible to make it work with the ClassiSky theme of Classipress? i just installed the grid_theme and in noticed the menu is smaller then the orginal CP theme. How can i change it into the width of the original CP theme ? Ok Frank you win I am in your site….! This is a great looking theme! I just want to ask, does the multi language function come with the theme, or is this a separate plugin you are using? If so, which one do you use? Any plans to make this responsive for 3.3 soon? Like really soon? I’m planning on making my own theme or using this but would need it to be responsive. Mweston@to make this responsive for 3.3 soon? Like really soon? Titus First Thank you ! i am already running classipress 3.2.1 on my site but now i am planing to upload 3.3 beta on different host with Grid Child Theme of yours. Now of course after installing classipress 3.3 i have to change few things in style.css or any php code according to needs but i never used child theme before with my previous 3.2.1 versions, i used to make changes with original style.css theme itself. 1. my question is if i buy this grid child theme for 3.3 beta and if i need any changes on my site for eg, remove price tag if no price or any sort of coding changes etc, so where do i make changes is it at original theme style.css or at grid child theme style.css?? 2. if it is grid child theme then is it capable of make changes within child theme for any sort of changes for the site. Please kindly let me have your opinion because i am planing to buy this week end. The demo site is under maintenance. I tried to update my CLASSIPRESS to version 3.3 and everything went bad. I have lost my GRID CHILD THEME completely. When will be available again the “live demo site”? It is compatible with classipress 3.3? I already have my own childtheme that I have used in developing my site – http://www.4daydeals.com am I able to implement and keep my changes if I install this child theme – how could I make it work in conjunction to my changes. Good day Mr. Green. I am looking for a child theme due to I want to modify the background (the one that looks a Little bit gray), the theme color (classipress standard color) and the theme background (white), This child theme fits my requirements?, Is it compatible with the marketplace plugins? I would also like to buy the classipress related adds. This child theme has the same options as the classipress?. I am very interested. I am looking for a child theme due to I want to modify the background (the one that looks a Little bit gray), the theme color (classipress standard color) and the theme background (white), This child theme fits my requirements? Hello Mr.Green. How are you? First, let me say, great theme that you and your partner created. I am using this theme for my new online business. I have a question, would you know the code to put icons by categories for a directory style layout? OK “is on the road” Super ! can be a generally a least: car assurance … so focus rely in that. in forum some person have made tuto for, you will found quickly. 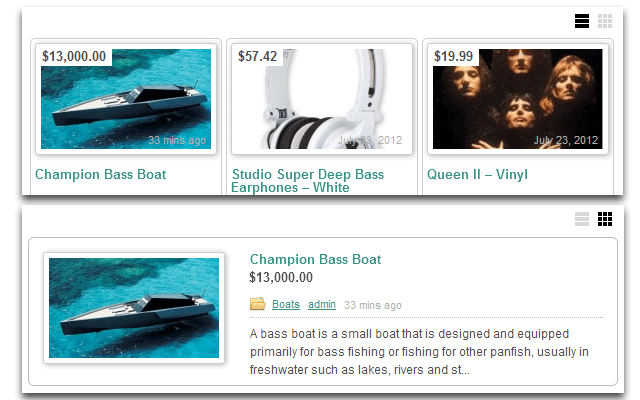 Show relevant ads according to the content of your ClassiPress site.